Everyone around me seems to be having babies. Paired with the arrival of the very pretty collector's edition of "Baby 2 Bride" from Graphic 45 in my mailbox... well a baby themed something or other was inevitable. 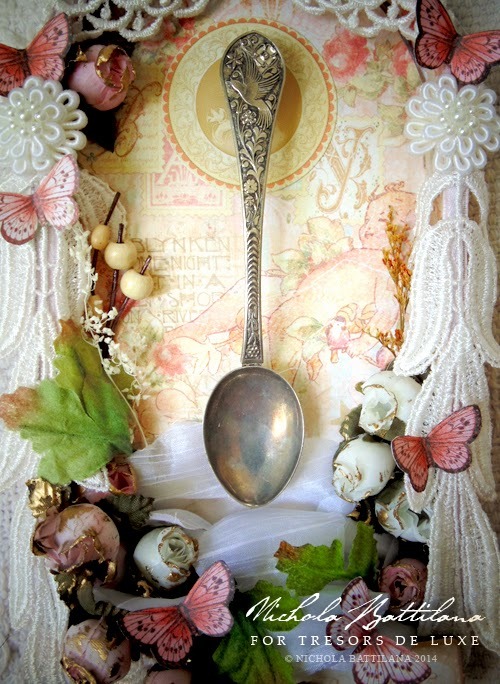 Silver spoons have long been a traditional baby gift, often given as a Christening present. 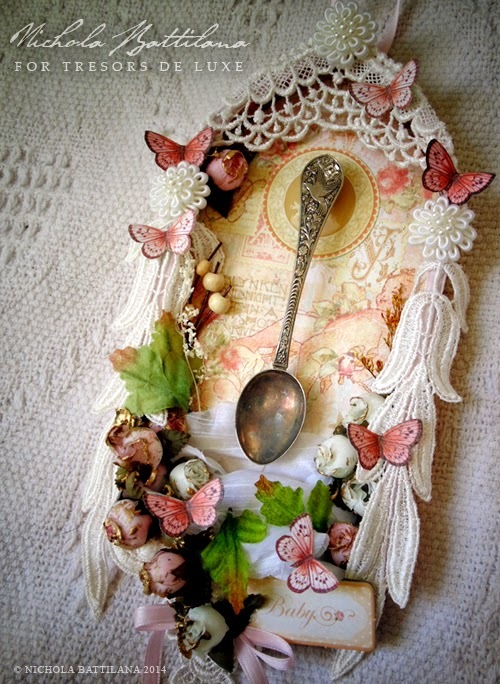 For some, the silver spoon was the first in a set of cutlery and other household items that would be accumulated as gifts over the years and given to the child when he/she left home. For others still it may be given as a symbol of wealth or as a single precious gift. A keepsake. 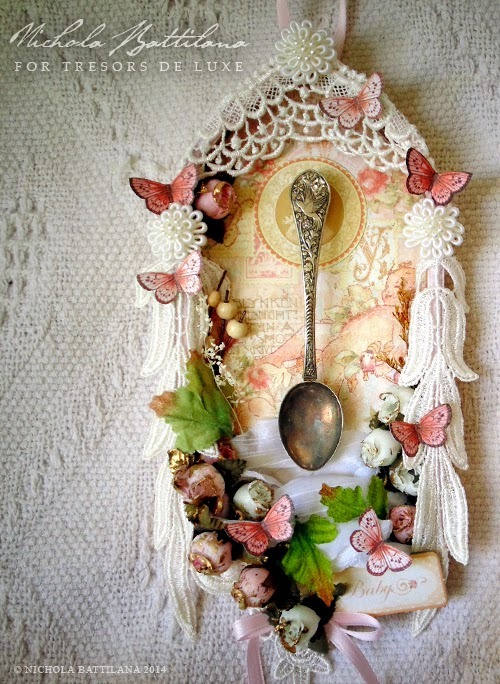 And so I've created a little sort of shrine for this precious antique spoon so that it can hang on the wall rather than be tucked away and rarely seen. 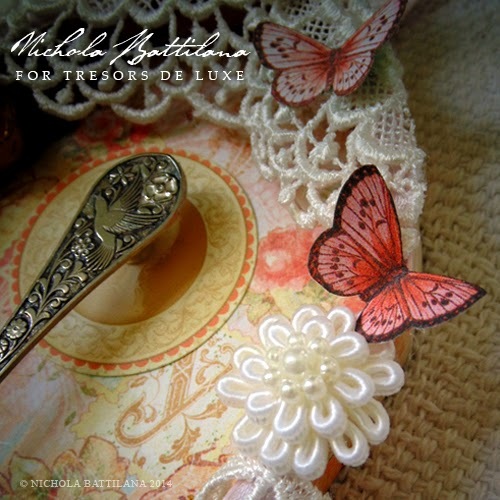 and Let's Get Together with snippets of Tresors de Luxe lace and flowers. 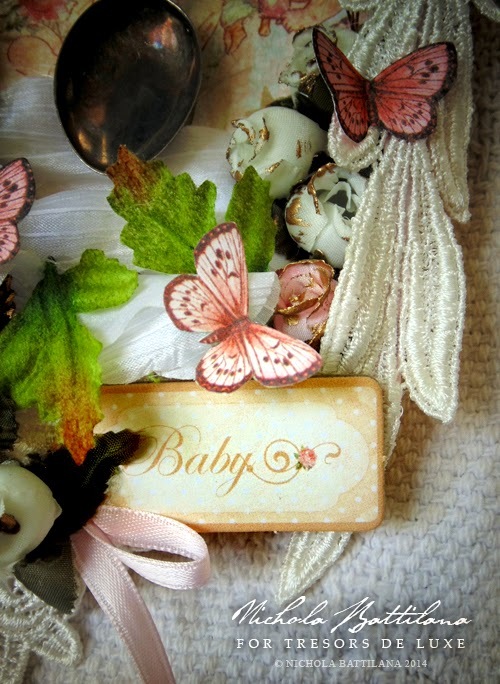 A tiny pink bow and tag finish it off. 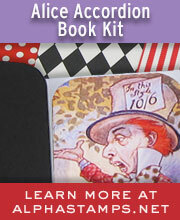 Hi Nichola, Sorry for my lack of posting comments to your Blog, I have been away for awhile with various health issues. But I have to say every chance I would get I would frequent your Blog as I am always brought to a happy place in my mind and heart when I see all your beautiful pieces of Artwork. 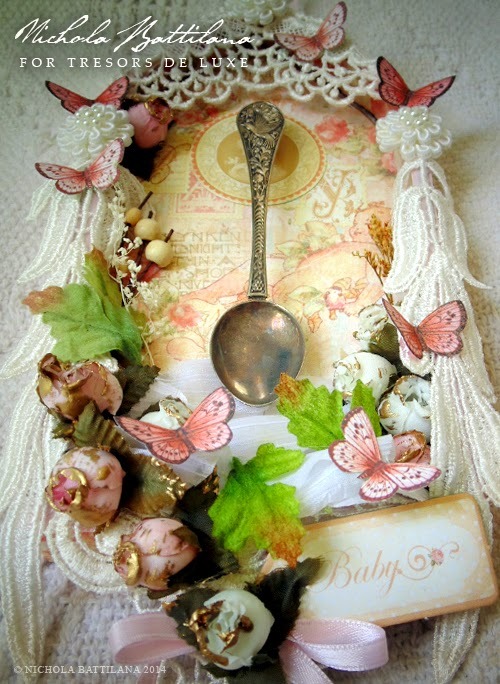 The Silver Spoon really touched me as I am a new grandmother to a beautiful baby boy my first grandson. Again your talent is amazing and I absolutely adore your work. Thank you so much for all that you do and share with all of us.